Originally, the emergence of literature or books led to the establishment of libraries. Looking for a way to manage the resources of the library, the discipline called “library science” emerged. Library science was the initial name use to describe the act and science of the collection, storage, preservation, organization of the collections in the library or simply the every act associated with library practices. However, the world as we know can never remain the same. Its continuous and rather powerful change has led to an outburst of the world of information. 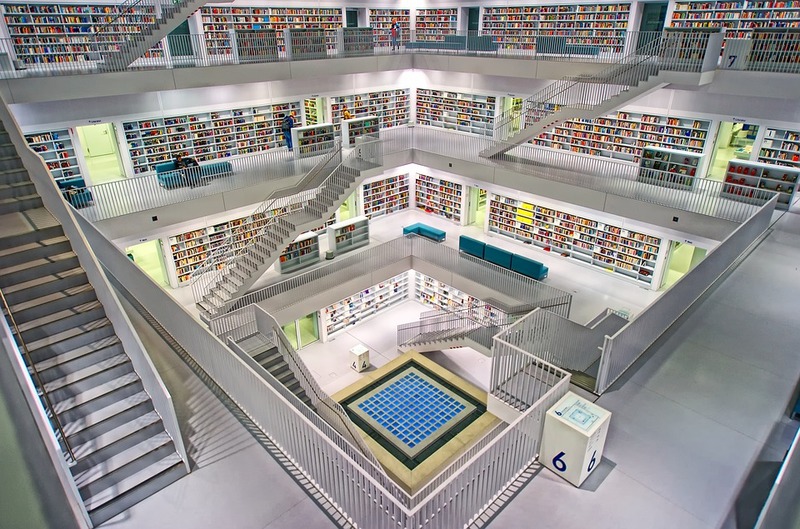 Fortunately, the tremendous outburst of information in the world today has greatly influenced the discipline of “Library science” and its practices. In other words, there was a noticeable change in the modality of its practices. The outcome of this influence on the discipline of library science was the deployment of technologies. On this account, the name originally given to the field (library science) could not completely describe the purposes of the profession. Library and information science was then the new chosen name to properly describe its function and purposes. Library and information science is an interdisciplinary discipline. In other words, it is the conglomeration of two separate disciplines to form a whole. So in other to have a general view of what library and information science is all about, you should know what each separate discipline entails. LIBRARY SCIENCE: This simply has to do with the collection, organization or processing, storage, preservation and dissemination of information resources in the library. This is normally backed up with so many principles to ensure optimal performance. A library scientist and an information scientist perform the same functions. It is however, where they practice as professionals that differentiate them. For instance, a library scientist is strongly meant to work in the library and must understand and apply library principles in the library. Information scientist is not strongly meant to work in the library and therefore it is optional for him/her to learn and understand library principles like filing, cataloguing etc. Together, library and information science entails the manual and computerized ways of manipulating information. Undoubtedly, the paradigm shift that encouraged the information explosion that you are seeing today was orchestrated by the computer scientist, information technologist etc. Why then should the discipline of library and information science be relevant? The field of computer science and technology, software engineering and many other IT related disciplines has produced so many devices that are encouraging the easy manipulation of information. However, these IT products are deployed by several other professions. The field of library and information science happens to be one of the diverse fields that enjoy the use of these IT products. It ensures that information emanating from any sector is easily and effectively manipulated. ACADEMIC LIBRARIAN: Graduates of library and information science can work in academic universities or universities found in higher institute. SCHOOL LIBRARIAN: Libraries found in companies or organizations are known as special library. It is the duty of the librarian to manage the resources or collections of the library. SEMANTIC MODELERS: Graduates of library and information science can also work as semantic modelers in companies or organizations. Data modeling is essential to every enterprise and organization. The continuous operations and growth of an enterprise or organization leads to the rapid generation of data. These data are not useful except they are processed. To enable decision maker act on them, data modeling must play a key role. In other words, data modeling can be seen as that conceptual model that provides a general view of the data of an enterprise or organization. Just the same way an architect would normally produce a blueprint plan before a house can be built, a data modeler must produce a conceptual model of the data which would enable decision makers make decisions with just a glance of the data. Publishers: The management and operations of a publishing firm is the sole responsibility of a library and information scientist. NATIONAL LIBRARIES: Every country in the world is entitled to a national library which acts as a repository of knowledge to that country. Apart from housing the publications that emanates from that country, the national library is also responsible for the issuing of copy rights to intellectual owners. INFORMATION OFFICERS: These professionals collate, store and make information to be very accessible to their employers or clients. They collect information from different areas such as finance, education, sports, engineering, marine science, information technology etc. They organize this information either electronically or manually and provide them when necessary. For example, academic online databases can be created by information officers to serve the academic world. INFORMATION ARCHITECT: Graduates of library and information science can pursue a career as an information architect. Information architect can work in companies, enterprises and with organizations. Almost all serious firms no matter how small now own a website which users or clients can access remotely. As an information architect, you would be responsible for organizing the information/ content / functionality of a website so that it presents the best user experience it can, with information and services being easily useable and findable. RESEARCH LIBRARIAN: Library and information scientist are known as the custodian of knowledge. They act as an interface between knowledge and researchers. The researcher could be an individual, a company or an organization. In other words organization like F.A.O, W.H.O etc. are meant to be big employers of library and information science graduates. BANKS: Library and information scientist also work in the bank. Library and information scientist can work in various sectors of the bank but as the highest level which is the central or head bank in a country such as Nigeria, library and information scientist generates the figure that cannot be found on any other note. CURATORS: Graduates of library and information science can oversee the management of the collections of a museum. ARCHIVIST: Archives are collections of historical documents or records emanating from the government or an organization or an enterprise. Library and information scientist do not create these archives rather they manage and preserve these archives for posterity. Library and information science is actually a great choice of career but it cries loud for assiduous and careful people to obtain its knowledge. No Response yet for "About library and information science and its diverse job opportunities"